Looking for our latest highlight? 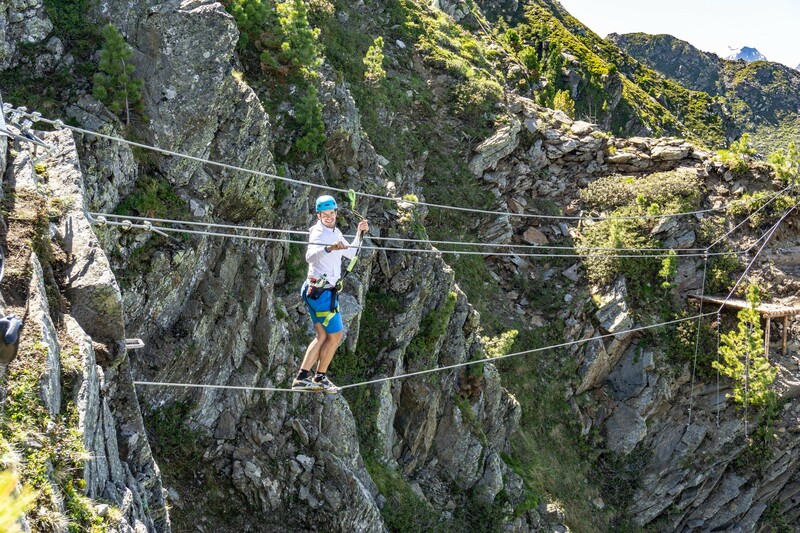 We are happiest to present our brand new Speikboden via ferrata. Suitable for enthusiastic newcomers, a welcoming side event for mountain lovers, exiting for sportive climbers. 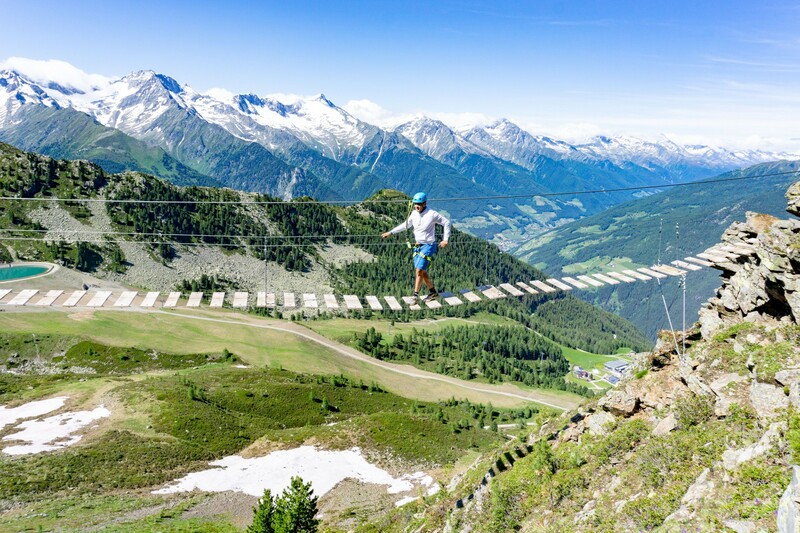 The via ferrata is of a medium degree of difficulty, starting right after the exit of the Speikboden gondola at 2.000m. You’ll overcome 350m of difference in altitude belayed and safe. On your first steps out of the gondola you will already get this pure feeling of summits surrounding you. Hold on for the stunning view across Valley Aurina, Zillertal Alps and the white peaks of Durreck. Walk on for the entrance of the via ferrata. 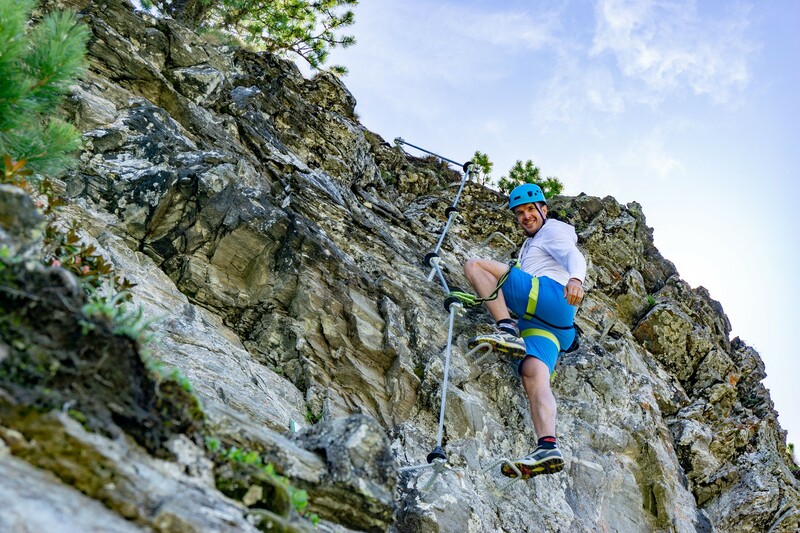 Keep the feeling of touching mountains and sky while you step into the via ferrata. Get excited on the super long suspension bridge, get a grip on the edgy rocks of the mountains. You’ll arrive at the very peak of Speikboden. Heading towards a panoramic view you can only here enjoy: Dolomites, Tre Cime and Marmolata towards the glaciers of Valley Aurina. The tour is considered a circular route, for your way back you can either chose the chairlift Sonnklar or hike downwards the alpine paths of the Speikboden recreation area. At the German site "bergsteigen.com" you can find more information, the map and the topo.